Vásárolj Baseball sapkát olcsón az Orion Divat, A Megbízható Magyar Webáruházban. Válassz a számos kiváló minőségű baseball sapka közöl. Itt megtalálod a legújabb Dorko, Nike és Adidas sapkák között. Premium Cap by Firetrap> Premium cap> 6 panel design> Stitched detail to peak> Lightweight> Block colour> Firetrap branding ..
SoulCal Sula férfi baseball sapkaThe SoulCal Sula Cap makes a great finishing touch to your look, featuring a five panel design, curved peak, top button, ventilation holes and a buckle adjustable strap to the rear. Completed with SoulCal branding motif to the front.> Baseball cap> Buckle adjustable ..
Slazenger Tech férfi baseball sapkaThe Slazenger Tech Cap benefits from a lightweight and breathable construction with a single hook and loop fastening to the reverse for a customisable fit.> Mens golf cap> Lightweight and breathable> Hook and loop fastener> 96% Polyester / 4% elastane> Hand clean o..
Puma Arsenal baseball sapka The Puma Arsenal Baseball Cap is perfect for fans of the Arsenal team, crafted with the team crest to the centre of the front along with light stitched detail and a pre curved peak to complete the look, a snap back fastening to the back allows for a customisable fit. 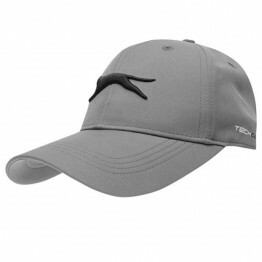 >..
Reebok UFC férfi baseball sapka Give any outfit a supercool look with this Reebok UFC Baseball Cap, made with a flat peak for covering sunlight along with a UFC design to the front for a great design. > Cap > Flat peak for keeping sunlight out > UFC design to front > Reebok branding > 100% polyest..
ONeill Corp férfi baseball sapka The Mens ONeill Corp Cap has a simple but stylish look with tonal stitching across the upper along with the ONeill branding embroidered to the front, perfect for any casual style. 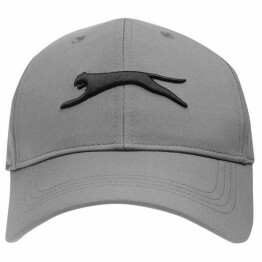 > Mens cap > Peaked > Ventilated > Tonal stitching > Curved peak > ONeill branding > Sh..
Puma Ferrari Fanwear férfi baseball sapkaThe Puma Ferrari Fanwear Baseball Cap offers a contemporary twist on a classic baseball cap, designed with a curved peak, stitched eyelets and adjustable back, but featuring the Ferrari badge to the front. > Men's baseball cap> Curved peak> Stitched eyelets> ..
No Fear Target férfi baseball sapkaThe No Fear Target Cap features a touch and close adjustable tab to the reverse, with the brands iconic Target logo embroidered to the front.> Mens cap> Touch and close fastener> Embroidered target logo> Sponge clean only ..